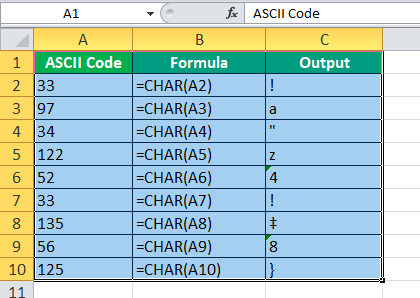 CHAR Function in Excel is a function that returns the character specified by the code number (also called the ASCII code) from the character set for your computer. 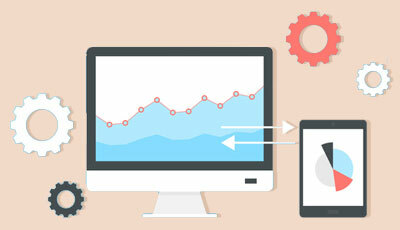 CHAR is categorized as String/Text Function. 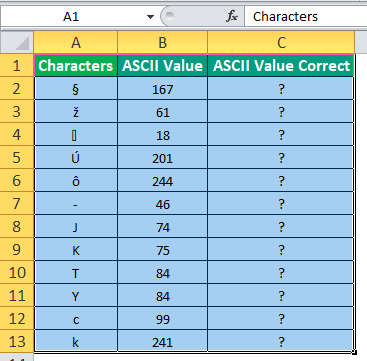 It takes ASCII value as an input number and gives the character associated with that ASCII value as an output. 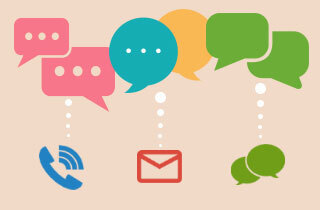 ASCII stands for American Standard Code For Information Interchange, is a character encoding standard for the digital communications. 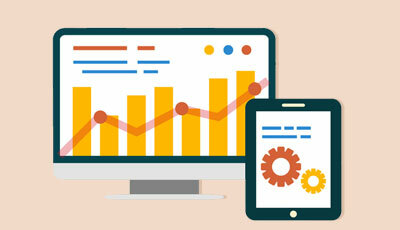 For each character that can be typed, has a unique integer number associated with it, may it be a character set, digits, punctuation marks, special characters, or control characters. For example, the ASCII value for [space] is 032. ASCII values ranging from 097-122 are reserved for the alphabets a-z in lower case. 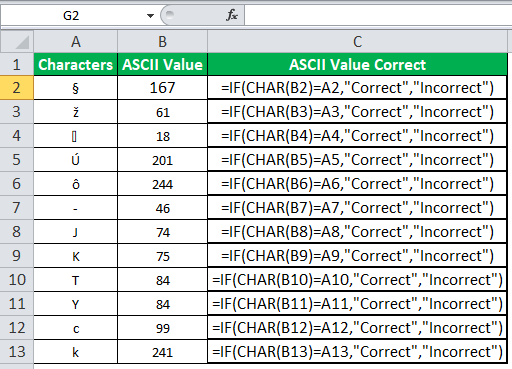 In Excel, the CHAR Function in Excel takes the number as input which is actually the ASCII values and returns the associated character with it. For example, when we pass 32 as an input, we get a space value as an output. If we copy and PasteSpecial the value of cell B2 to another cell, we will find a [space] as a starting character. We pasted the value using PasteSpecial functionality in cell C2 and we have a [space] as a character as an output. 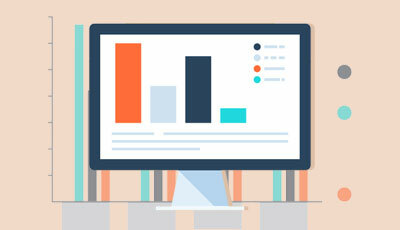 This CHAR takes a single value as a number where the number is between 1-255. 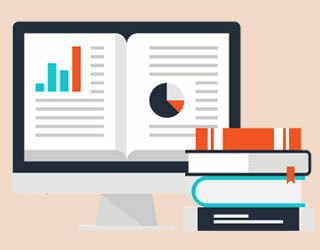 Note: Depending upon the operating system the character code may vary so the output may vary on a different operating system for the same input. The WINDOWS operating system uses the ANSI character set while the MAC OS uses the Macintosh Character set. 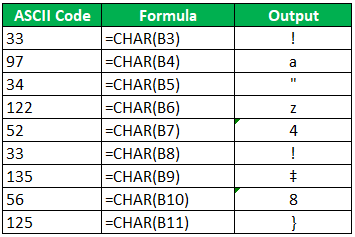 CHAR Formula has many uses. It can be used to replace unwanted characters. 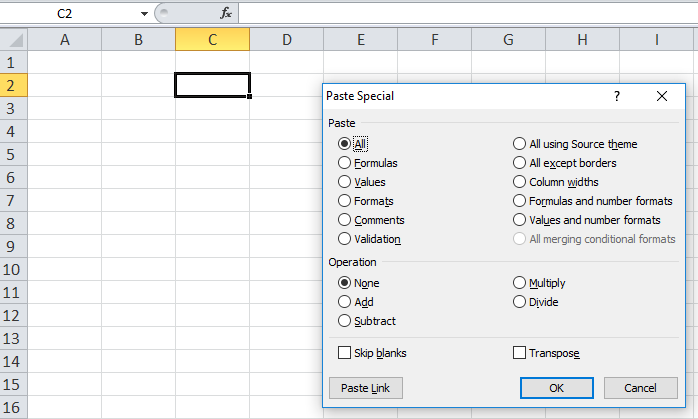 It can further be used while writing an Excel application or a Macro when dealing with strings and characters. 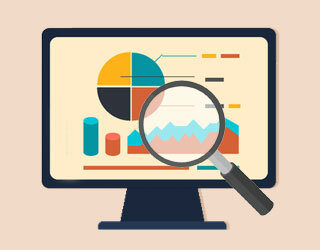 Excel CHAR function is very simple and easy to use. 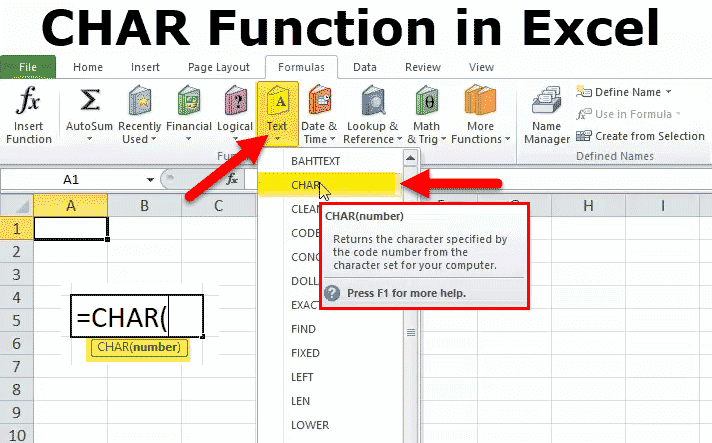 Let understand the working of (CHAR) CHARACTER Function in excel by some examples. 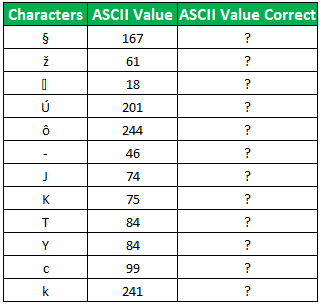 We have a list of Characters given in column A with their respective ASCII values, but few of the ASCII values are not correct. 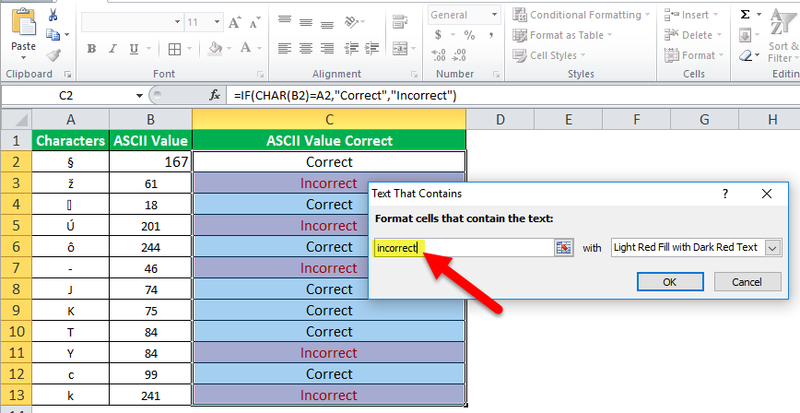 The user needs to find whether the ASCII values are correct or not and color the incorrect ASCII values using the conditional formatting. 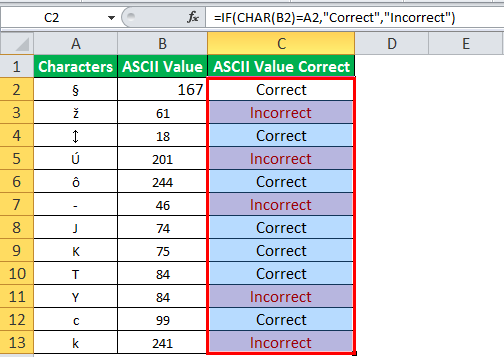 IF CHAR (ASCII value of given character) matches or equals to the given ASCII values then Print Correct Else Print Incorrect. 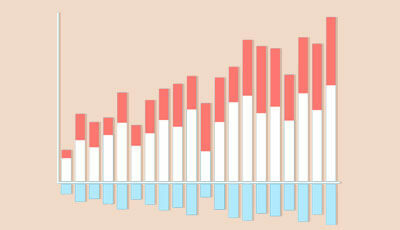 For conditional formatting select the range for which we want to apply the condition, here the range is C2:C13. 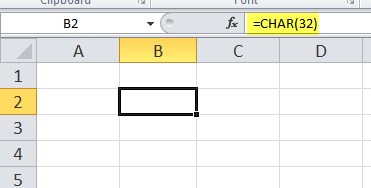 Go to Home-> Conditional Formatting -> Highlight Cells Rules ->Text that Contains..
Then, type in the Text that a cell contains, to get the cell formatted with the color you may specify and Enter OK. 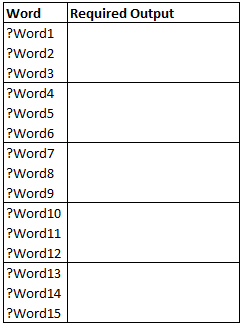 But the user wants the data in the format like Word1-Word2-Word3 and similarly for the data in other cells. So, we have to first replace or substitute the unwanted characters and then we will replace the line breaks to get the desired output. 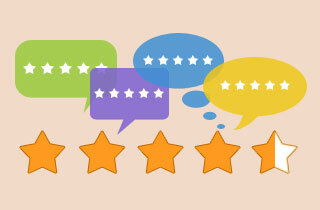 In order to replace the unwanted characters we need to know the ASCII code, so in order to get the ASCII code, we can use the function named CODE that returns the ASCII value of a character. 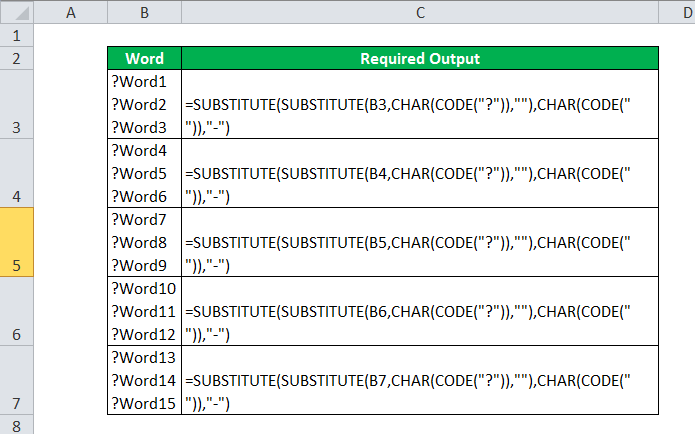 The Values that is returned by the Code Function can be used as an input for the (Char) CHARACTER Function in Excel. Further to replace the unwanted character we will use the SUBSTITUTE function. First, we calculated the ASCII code for the ‘?’ which is 63 and for the ‘line break’ the ASCII code is 10, we calculated both values using the CODE function and replaced it for the required output. We have two strings in Cell B2 and B3 and we want to concatenate both the strings with a line break in a cell B4. 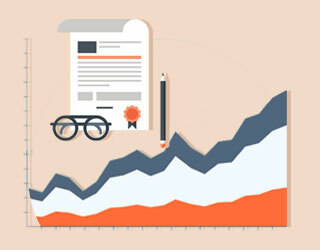 We get #VALUE! 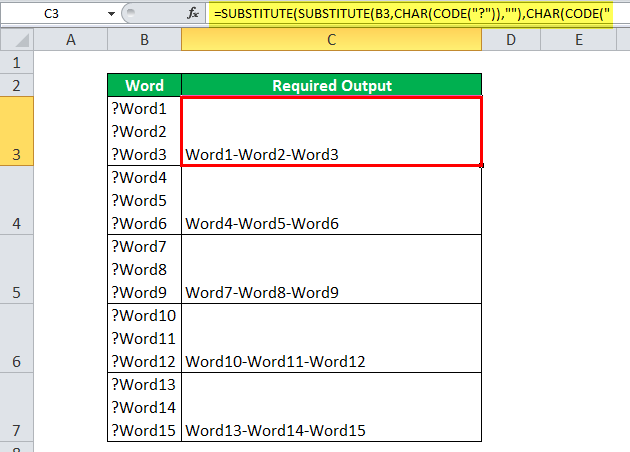 Error, when we don’t supply the number as an input for the (CHAR) CHARACTER function in Excel and the number, is less than 2 or greater than 254. 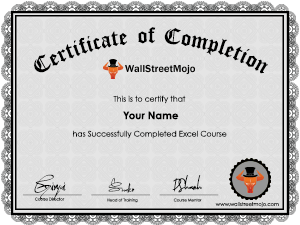 How to Remove Blank Rows from Excel?